If your child’s school is one of the growing list moving to ‘BYOD’ – ‘Bring Your Own Device’, then you’ve got some big decisions to make before your child goes back to school in a few weeks. Some schools make it a bit easier by listing the specifications they require of the device; others leave it up to parents. If that’s you then help is at hand. 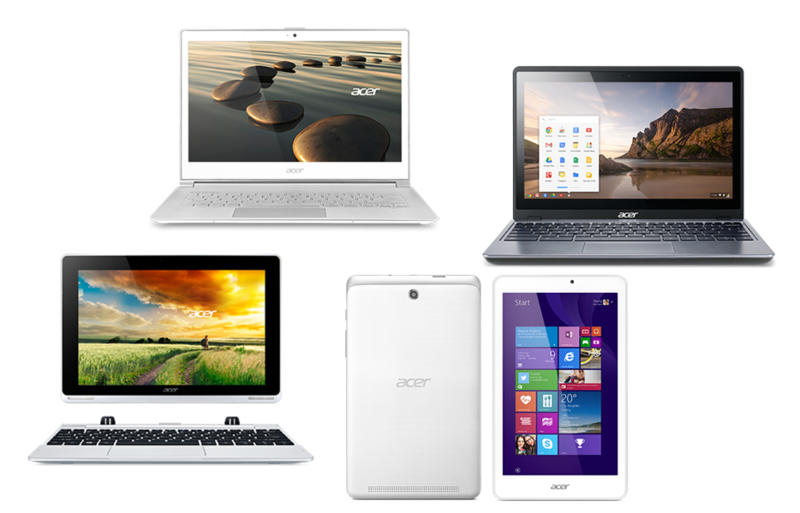 The following tips from Darren Simmons, Managing Director of Acer Computer Australia, will help you navigate the options and avoid the pitfalls when your school leaves you to ‘your own devices’ when it comes to buying a portable computer for your child to take to class. Notebook/Laptop – the biggest, heaviest and more expensive option, but with more storage, processing power and access to powerful applications. A full keyboard makes it easy to take notes and write essays. Tablet – smaller, lighter and a range of cheap and free apps. There’s no keyboard, but you can type on screen, use a stylus or ‘Active pen’ or attach a separate keyboard. 2-in-1 ‘combos’ - notebooks with detachable screens; detach the screen and use it as a tablet. A full keyboard for typing and ‘Active pen’ or stylus for ‘writing’ on screen. Chromebook - light, low cost, simple web surfing and cloud computing (online storage). Includes a keyboard but may not support some specialist software. Step 2: What does my child’s device need? WiFi capability – make sure it can connect to your school’s network. Minimum specs – ask if your school has specific requirements. At a minimum, get 16 GB storage and 2 GB RAM. Note-taking ability – get a device that makes it easy to create and save notes. o For laptops an 11 – 13 inch screen (bigger is too heavy and bulky). o For tablets – a large screen (8 inches-plus) for easier reading, browsing and viewing. Battery Life - to last the school day – and fully charge it each night. A robust storage case - a hard shell case is stronger than soft neoprene covers. Ongoing Support - Consider an extended warranty to reduce future repair costs if you school does not provide technical support. Secure it – Get anti-virus protection and keep it up to date. Acer recommends McAfee Internet Protection and Absolute LoJack theft recovery software to find and track a lost or stolen laptop or tablet. Insurance - Ask your school if its insurance policy covers loss or damage at school & check with your insurer about cover for loss or damage outside your home. Label it clearly – use an engraving tool for a permanent result and make a copy of the serial number. BYOD is a new approach to using technology at school, but it doesn’t have to be daunting. Armed with the right advice, you can decide with confidence on a device that will meet your children’s school needs on day one – and the years ahead.